We just learned about the Intraplate Earthquake that happens inside a tectonic plate. Another type of earthquake is a Megathrust Earthquake. These are the most powerful earthquakes on the planet, and can cause a lot of destruction. We just learned about the Japenese Tree Frog that lives in rice paddies in Japan. Another type of frog is the Square Marked Toad, also called the African common toad, African toad, Egyptian toad, African bouncing toad, or Reuss's toad. This is a true toad in the Bufonidae family, that lives in Africa. It can grow over 5 inches long, and is a green brown color with warts. When these toads are feeling scared, they sometimes will bounce around to confuse their predators, and try to escape. We just learned about the Costoxiphoid Ligaments that connects the ribs to the xiphoid process. Another piece of connective tissue is the Posterior Sacroiliac Ligament. This is a large bunch of tissue that connects the sacrum (tailbone) to the ilium (hip bone), on the posterior (back) part of the body. We just learned about the Mexico State of Guerrero, home of Acapulco. 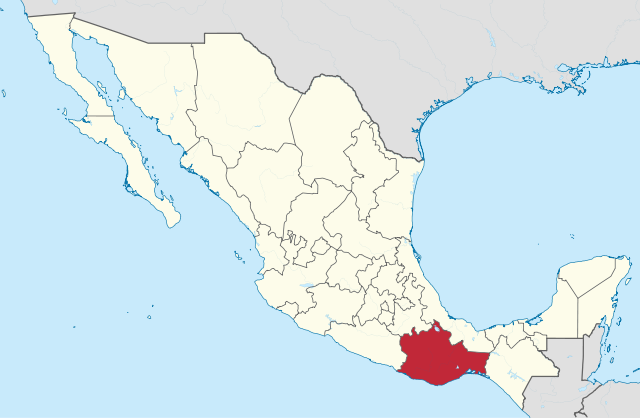 Another Mexico State is Tamaulipas. It is on the Northeast part of Mexico, with the US to the north, and the Gulf of Mexico to the east. On the the coat of arms of Tamaulipas, the top left shows corn for farming, the top center is the shield of the Count of Sierra Gorda and the top right is cattle for the animal farms. In the middle is the large hill the Cerro del Bernal. The bottom left has boats for fishing, farming in the middle, and oil machines on the right side. The Sierra Madre Oriental mountains go through this Mexico State. 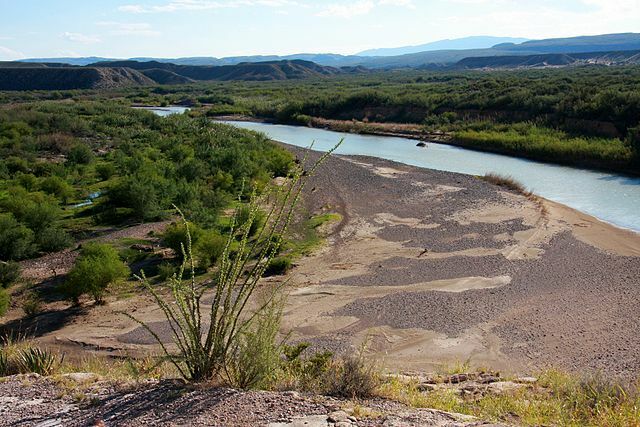 The Rio Grande is a river that is on the north border of the state, with the US on the other side. There is a plaza called Plaza de Armas in Tampico, with many famous old buildings. We just learned about Benedict of Nursia who wrote The Rule of Saint Benedict. Another famous monk is Bruno of Cologne. Bruno started off as a leader in the church, but then decided that he wanted to live like a hermit, or a heremitic monk. He started a monastery in the Chartreuse mountains in France with a couple of other monks living separately in log cabins. His monastery became very famous and lasted a long time, and the monks there started a group called the Carthusian Order, with rules for how everyone should live, and a motto "The Cross is steady while the world is turning"
Hundreds of years later, the Chartreuse monastery made a special type of drink called Chartreuse, that is green and yellow. This drink was so well known for its green-yellow color, that the word chartreuse is now the name for a green-yellow color. We just learned about the sculpture The Prinzessinengruppe by Johann Gottfried Schadow. Another famous neoclassical sculpture is the Tomb of the countess of Celles by Dutch artist Mathieu Kessels, in Rome 1828. Kessels was born in the Netherlands, and traveled to Paris France and St. Petersburg Russia to learn how to be a sculptor. Later he moved to Rome Italy, and met the famous artist Bertel Thorwaldsen, who became his teacher and helped him become a very good and famous artist. This sculpture was made for a tomb of a famous Countess, showing her lying down as an angel comes to take her to heaven. Greek - Do you speak Greek? Remember that to say please or you're welcome in Greek, you say Παρακαλώ (Parakaló). To ask if someone speaks Greek, you say Μιλατε ελληνικα? (Milate ellinika?). In the Greek language, the word for Greek comes from the story of Helen, the father of all of the famous rulers of Greece. Other languages like English call it Greek, because of some other tribes of people that have lived in the area, that called themselves Greek. Yes and no can be tough for English speakers to remember, because Ναί (Yes) sounds like no, and Οχι (No) sounds kind of like OK.
Μ (Mu) ι (iota) λ (lambda) α (alpha) τ (tau) ε (epsilon) ε (epsilon) λ (lambda) λ (lambda) η (eta) ν (nu) ι (iota) κ (kappa) α (alpha)? We just learned about the Interplate Earthquake where two plates bump into each other and cause an earthquake. Another type of earthquake is an Intraplate Earthquake. This is when an earthquake happens in the middle of a tectonic plate, not near the edges. Because this isn't by a fault line or border of the plate, scientists are not really sure why these happen, and they do a lot of research to see if there is a hidden fault line somewhere they did not know about. We just learned about the African Dwarf Frog. Another type of frog is the Japanese Tree Frog. This frog lives in Japan, Korea, China and Russia. They sometimes live in rice paddies and on rice leaves. When the Japanese person Toyohiro Akiyama went to a space station called Mir in 1990, he took some of these frogs into outer space with him. These frogs have figured out a special way to call out to each other without interrupting other frogs. Scientists have used this to come up with better ways to use wifi networks. We just learned about the Superior Costotransverse Ligament that connects your spine to your ribs. Another piece of connective tissue in the body is the Costoxiphoid Ligaments. These are ligaments that connect the rib, sometimes named the "costo" to the xiphoid process in the middle of the chest. We just learned about the Mexico State of Chihuahua, the biggest state in Mexico. Another Mexico State is Guerrero. 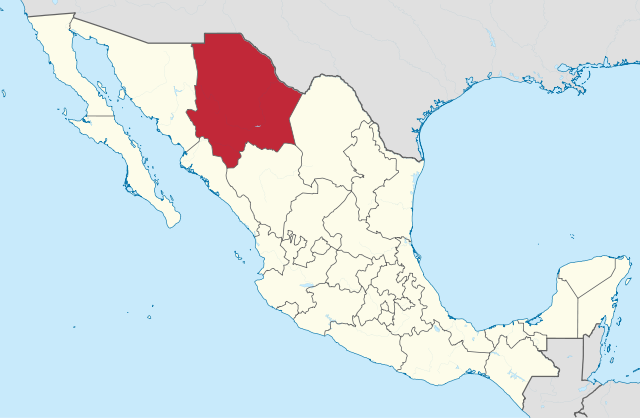 This state was named after the second president of Mexico, Vicente Guerrero, and is the only state named after a Mexican president. It is on the southwest part of Mexico, on the Pacific Ocean. The coat of arms of Guerrero is a blue shield with a tiger knight on it, who is wearing a battle suit with a jaguar skin. In his left hand he has a Mexica shield, and his right hand a weapon called a Maccahuitl, which is a piece of wood with sharp edged stones on it. The largest city is Acapulco. It is a famous place for people to go to on vacation for it's beaches and sunshine. There are famous cliff divers in Guerrero, called the La Quebrada cliff divers. These divers dive into water from cliffs that are 135 feet tall, that's like a 13 story building! There are large caves called the Grutas de Cacahuamilpa, some of the largest caves in the world, with tunnels and rivers. 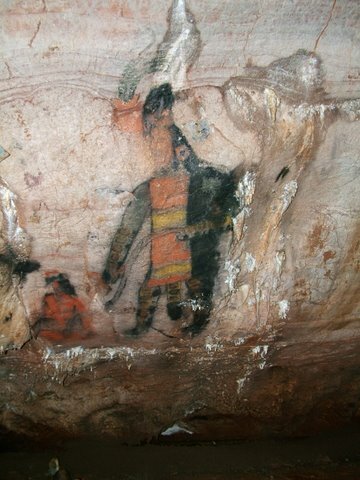 Some of the oldest cave paintings ever found are in Juxtlahuaca. People believe they are about 3,000 years old. We just learned about the Mar Saba, the monastery in Bethlehem. Another monk from history is Benedict of Nursia. Saint Benedict helped set up 12 different monasteries throughout Italy. He also wrote a very famous book called The Rule of Saint Benedict. This was a long book that gave instructions for how monks should live together. It has everything from what they should eat, how they should work, where they should sleep, and how they should act toward each other and the people in the community. "(1) Fear God, (2) Subordinate one's will to the will of God; (3) Be obedient to one's superior; (4) Be patient amid hardships; (5) Confess one's sins; (6) Accept the meanest of tasks, and hold oneself as a "worthless workman"; (7) Consider oneself "inferior to all"; (8) Follow examples set by superiors; (9) Do not speak until spoken to; (10) Do not readily laugh; (11) Speak simply and modestly; and (12) Express one's inward humility through bodily posture." We just learned about the Axel Oxenstierna and History by Swedish sculptor Johan Tobias Sergel in 1772 in Stockholm Sweden. Another famous sculpture is The Prinzessinengruppe, a statue of the famous Princess Friederica and her sister Louise, sculpted by German artist Johann Gottfried Schadow, in Berlin, 1797. These two sisters were very beautiful and charming, and they went on to marry brothers that were Frederick and Louis. Frederica married Louis, and Louise married Frederick. The sculpture is called Prinzessinengruppe, which means princess group. Their children went on to be kings, queens, emperors and empresses of many countries like Sweden, Norway, Netherlands, Germany, Russia and Poland. Louise was also the Great, Great, Great, Great Grandmother of the famous Anastasia from the stories from Russia. Remember that to say thank you in Greek, you say ευχαριστώ. To say please in Greek is Παρακαλώ (Parakaló) - pah-dah-kah-loh. And to say you're welcome, you say the same thing as please, Παρακαλώ (Parakaló) - pah-dah-kah-loh. We just learned about the Doublet Earthquake. Another type of earthquake is the Interplate Earthquake. This is an earthquake that happens where two tectonic plates meet. These are the types of earthquakes that happen more than any other. We just learned about the Stony Creek Frog with the special nostrils so they can hide underwater. Another type of frog is the African Dwarf Frog. These frogs live on the African continent around the equator. This special kind of frog lives its whole life underwater, except when it goes to the surface to get a breath of air. They have no tongues and no teeth! So when they want to eat they use their claws to grind up their food, and then push it down into their mouth with their feet. We just learned about the Radiate Ligament of Head of Rib that connects the ribs to the spine. Another connective tissue in the body is the Superior Costotransverse Ligament. This is a piece of tissue that connects the rib to the part of a vertebrae called the Transverse Process. The transverse process sticks out from the back of the vertebrae in your spine, and the rib is tied to it by this ligament. We just learned about the Mexico State of Oaxaca that has wind farms and palaces like Mitla. Another Mexico State is Chihuahua. We learned before about the type of dog named a chihuahua, and that dog was named after this state. Chihuahua borders the US states of New Mexico and Texas to the north. It is the biggest state in Mexico, and is even bigger than the whole United Kingdom in Europe! Because it is so big, it has the nickname of El Estado Grande, which means The Big State. The coat of arms of Chihuahua has a picture of the old water system called an aqueduct. In the middle is the head of a Spaniard and an Amerindina, to show that the people of Chihuahua are a mixture of people from different places. The bottom is a picture of the Chihuahua Cathedral. There is a large group of canyons called the Copper Canyon, that is a lot like the Grand Canyon in the US. It's name comes from the copper and green color of the canyon. Because Chihuahua is so big, it has all types of land, from the sand dunes of Samalayuca, to the tall grassy mountains of Cerro Mohinora, to the tall snowy mountains of Tarahumara. We just learned about Mar Agwin, the Monk who helped spread Christianity to the east. A famous monastery in Bethlehem is called Mar Saba, built in the year 483. This monastery brought many of the monks of the Judean Desert together, and was known as the mother of all monasteries of the Eastern churches. We just learned about the famous sculpture of George Washington by Jean-Antoine Houdon, in 1785. Another Neoclassical sculpture is the bronze statue of Axel Oxenstierna and History by Swedish sculptor Johan Tobias Sergel in 1772 in Stockholm Sweden. Oxenstierna was one of the important people that worked for the King of Sweden, so Sergel sculpted the famous mythological character of History as a person who was writing down all of the things that Oxenstierna told him that the king did. Greek - Very good thanks, and you? To be polite you should also ask how the other person is doing. εσύ really just means "you". People don't usually say "And you" in Greek, they just say "You?". Just for fun, the word for And is: και - (kai) - sounds like kay. Γεώργιος (Geórgios) the Greek name for George, sounds like "Yor-yoh-ss"
Μαρία (María) the Greek name for Mary, sounds like "Mah-dee-ah"
Γεώργιος: Πολύ καλά, ευχαριστώ. εσύ? ASL: Very Good Thanks, and You? We just learned about the Blind Thrust. Another type of earthquake is the Doublet Earthquake. We learned before that most earthquakes have a big mainshock, with a smaller beginning called a foreshock, and a smaller quake after called the aftershock. Sometimes two big earthquakes happen at the same time very near each other. When this happens, it's like a double quake, just like the name doublet earthquake. So when this happens there are two foreshocks, two mainshocks and two aftershocks. It can be very hard for seismologists to figure out which quakes came from which fault. We just learned about the Rhacophorus that lays its eggs in foam in a tree. Another type of frog is the Litoria Wilcoxii, also known as the Stony Creek Frog or Wilcox Frog. This type of frog lives in Australia. They have a special nose, with the nostrils right at the end so they can stick just the tip of their nose out of the water and hide the rest of their body under water to stay away from predators. We just learned about the Posterior Longitudinal Ligament that goes down the back of the spine. 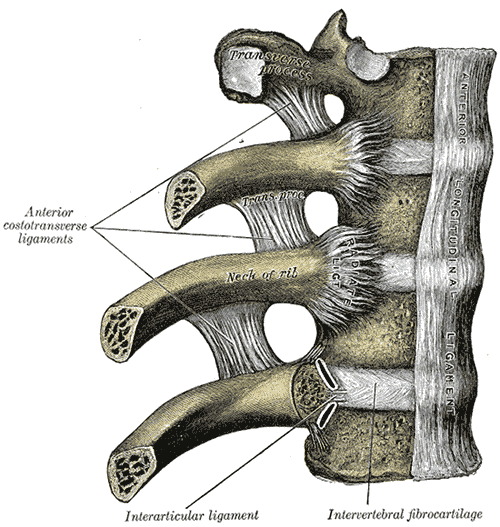 Another piece of connective tissue is the Radiate Ligament of Head of Rib. This ligament connects the rib bone to the vertebrae on your spine. We just learned about the Mexico state of Michoacán, home of the Purépecha long ago. Another Mexico state is Oaxaca. This state is on the south part of Mexico, on the Pacific Ocean. The coat of arms of Oaxaca has a red background, for the freedom of the people. At the top is the coat of arms of Mexico. The coat of arms has seven stars for the seven regions of the state. In the middle are three areas. The left is for the fruits and flowers from the Leucaena leucocephela tree, and the face of a native. The right has a side view of a palace in Mitla, and a Dominican cross. On the bottom are two strong arms breaking a chain, for the battle for freedom of the Oaxacan people. The words on the seal say: "El respeto al derecho ajeno es la paz" which means "Respect for the rights of others is peace"
and "Estado libre y soberano de Oaxaca" which means "Free and sovereign state of Oaxaca". Oaxaca is the state that has the most wind power in all of Mexico, and the Eurus Wind Farm in Juchitán de Zaragoza is the largest wind farm in all of Latin America. There are many ancient places in Oaxaca, like the pyramids in Monte Albán. Another ancient place is a palace in a place called Mitla. Since Oaxaca is on the ocean, it has some beautiful coast areas, like Punta Cometa. Greek - How are you?